In 1990, the Lake County Forest Preserves began acquiring the land that would become Grassy Lake Forest Preserve. Today, the 689-acre preserve significantly enhances the quality of life in the Barrington community, with its gently rolling hills, oak woodlands, marshes and moraines. Three high quality natural features include Flint Creek, Wagner Fen – home to eight endangered and threatened species – and the surrounding oak woodlands and wooded bluffs, which provide habitat for songbirds, woodpeckers and hawks. In an effort to enhance the natural beauty and ecological function of Grassy Lake Forest Preserve, specifically on a 117-acre section of the preserve that opened to the public in October 2015, hundreds of invasive trees and shrubs are being removed and replaced with native varieties. 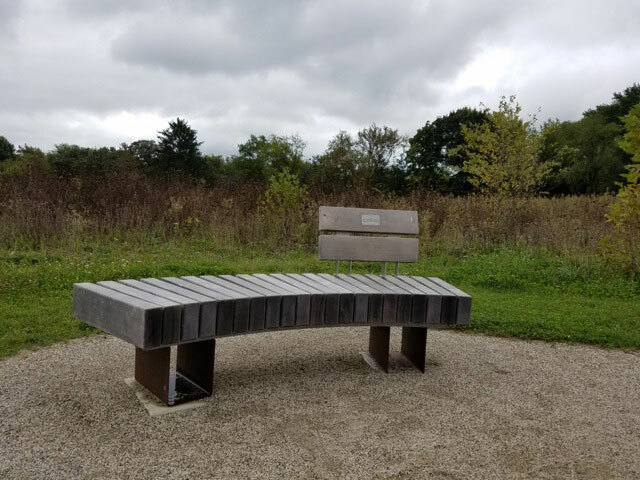 During 2016, the Schwemm Family Foundation awarded additional funds to the Lake County Preservation Society’s Grassy Lake Forest Preserve restoration project. 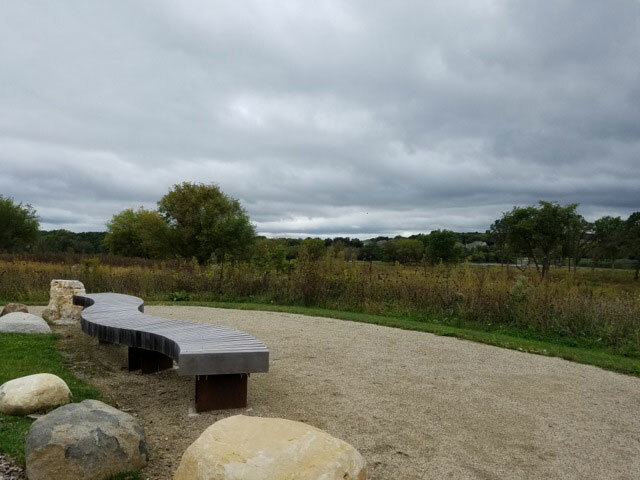 These funds were used to purchase and place a bench along a main access point of the newly constructed trail out to the Fox River.